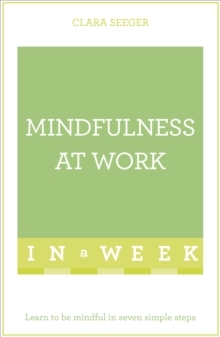 Mindfulness is more than a buzzword. It is a vital skill to help you survive and get ahead in your career. 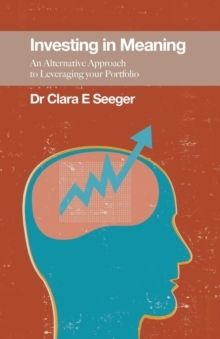 Executive coach and business trainer Dr Seeger has been practising and teaching mindfulness since before it was fashionable, and in this short, accessible book she shares a lifetime of hard-earned wisdom and practical advice. This book introduces you to the main themes and ideas, giving you a basic knowledge and understanding of the key concepts, together with practical and thought-provoking exercises. Whether you choose to read it in a week or in a single sitting, Mindfulness at Work In A Week is your fastest route to success:- Sunday: Learn to focus your attention and overcome the multi-tasking myth- Monday: Use mindfulness-based stress reduction (MBSR) to prevent and overcome stress- Tuesday: Discover how mindfulness can optimise your productivity- Wednesday: Use mindfulness to overcome the brain's negativity bias and make the workplace happier for yourself and your colleagues- Thursday: Regulate your emotions and improve your self-control- Friday: Use mindfulness to create new mental maps which will promote insight and creativity- Saturday: Understand how using mindfulness can strengthen relationships with your teamABOUT THE SERIESIn A Week books are for managers, leaders, and business executives who want to succeed at work. From negotiating and content marketing to finance and social media, the In A Week series covers the business topics that really matter and that will help you make a difference today. Written in straightforward English, each book is structured as a seven-day course so that with just a little work each day, you will quickly master the subject. In a fast-changing world, this series enables readers not just to get up to speed, but to get ahead.